A brand-new Macross TV anime series was just announced earlier today, following the rebroadcast of the final episode of 2007’s Macross Frontier animated series. Alongside the quick text reveal was a large silhouette of the iconic SDF-1 Macross transforming robot, which served as the driving point of the original 1982 anime. 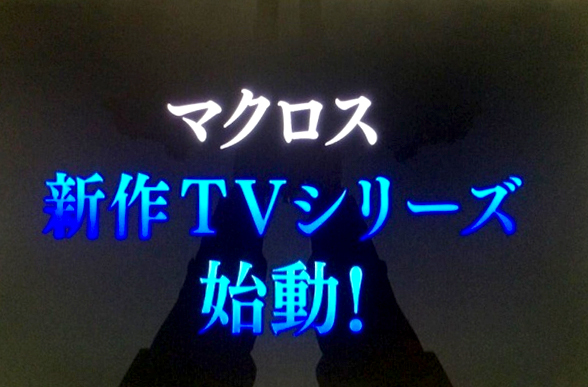 While the reveal was simply a teaser, without releasing any information about the new series itself or its release date, Macross fans across the world can look forward to this new project! Macross is a sci-fi mechs anime franchise that began in 1982, and told the story of an alien spaceship crashing into the earth in 1999. Bringing the awareness of life in space to humanity, the crashed ship was reconstructed into the SDF-1 Macross, and would fly through space to find life and contact it. However, an alien race called the Zentradi attacked Earth on the day of Macross’ maiden voyage, causing Space War I and changing humanity’s fate forever. One of the most beloved mecha anime in Japan as well as worldwide, Macross has since created numerous sequels, including Macross 7 and Frontier, as well as a plethora of theatrical releases, manga, video games, and toy releases.